Lipglossiping.com has teamed up with one-stop-beauty-shop Xtras to give you a chance to win a lovely Prada EDP Gift Set containing not one, not two, not three but FOUR top-selling Prada fragrances. 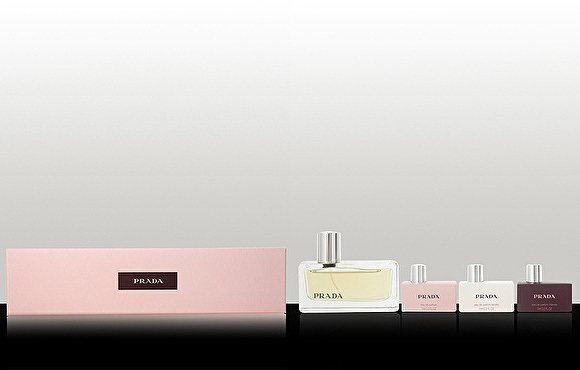 The lovely, boxed gift set includes: 50ml Prada EDP perfume, 7ml Prada EDP, Tendre 7ml EDP & Intense 7ml EDP. Which celebrity is featured in Xtras’ Get the Look section? 1. Entry open to UK residents by using the entry form above only. 2. One winner will be picked at random from all entries that provide an answer to the question. 5. Competition closes on Tuesday 23rd August 2011 at 23.59. I bloody LOVE xtras online. They have to be checked out regularly because they change their stock and you can get some fab stuff!